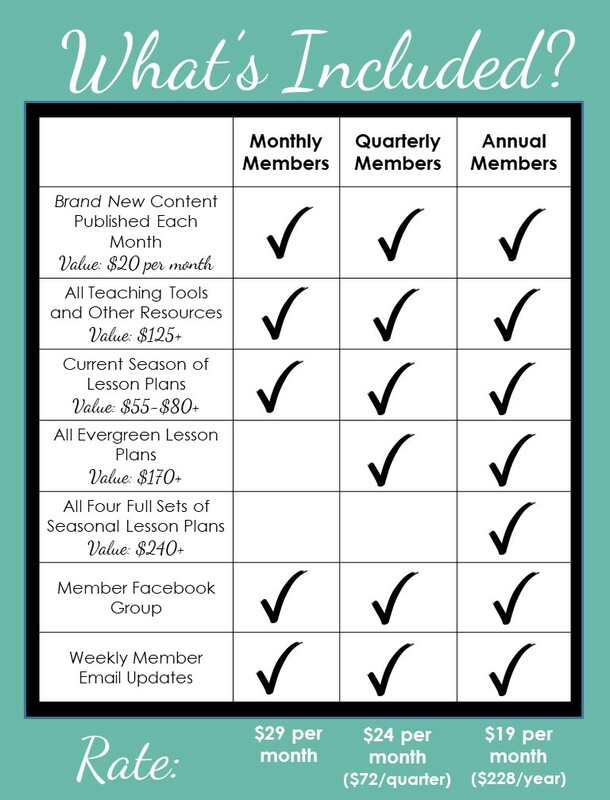 Gain access to exclusive member content including printable lesson plans, classroom management tools, and all of our popular learning resources. See a full description of what is included in the membership area. *Pricing is based on single classroom use. For school directors who wish to add additional teachers to their annual membership an add-on membership option is available for $100 per additional teacher. Please email us at admin@preschoolteacher101.com to set up add-on memberships.